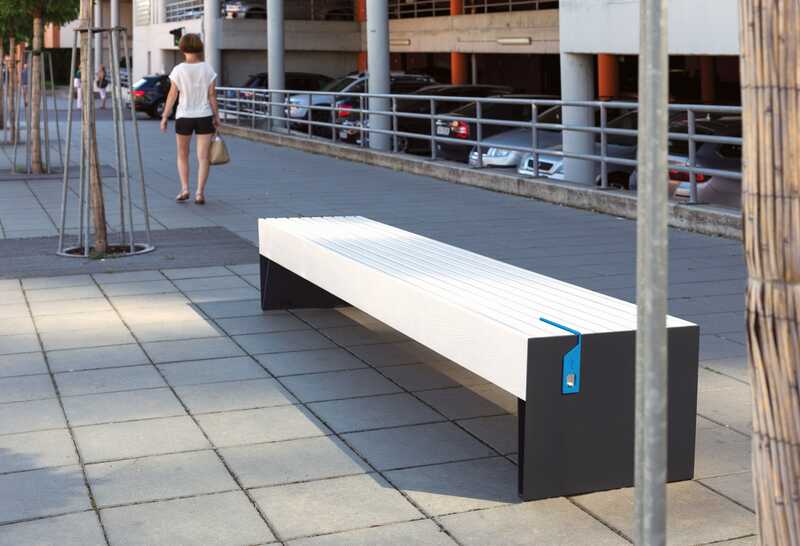 Public spaces > Urban furniture > Public bench > mmcité 1 a.s.
BLOCQ by David Karásek mmcité 1 a.s.
A massive block supported by sharp spikes – particularly this contrast has the best effect in a public space. 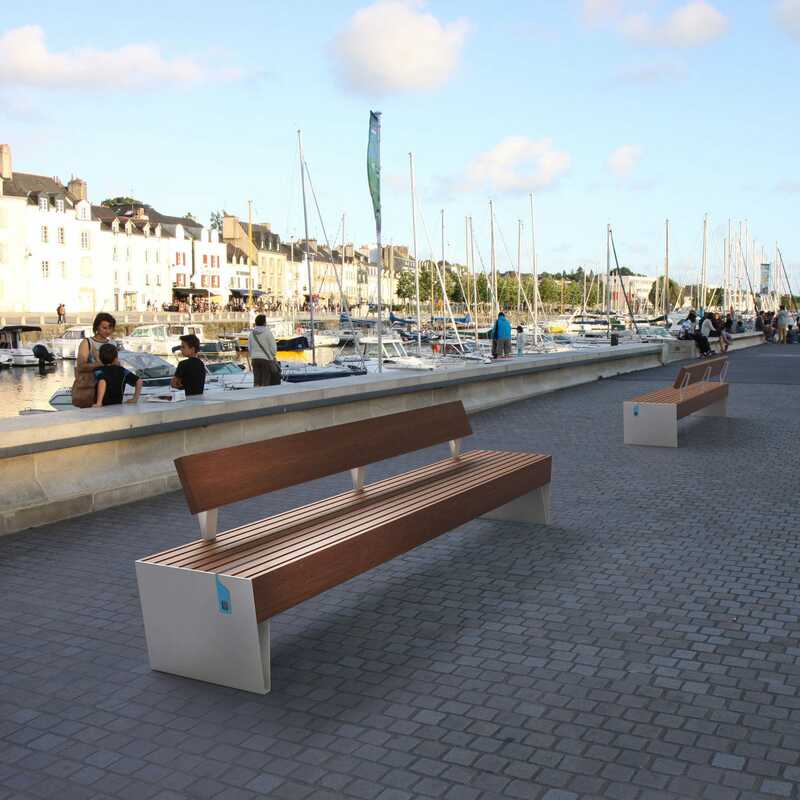 The effect is emphasized by the generous proportions of the bench. These proportions are even more underlined if several modules are lined up creating long rows. 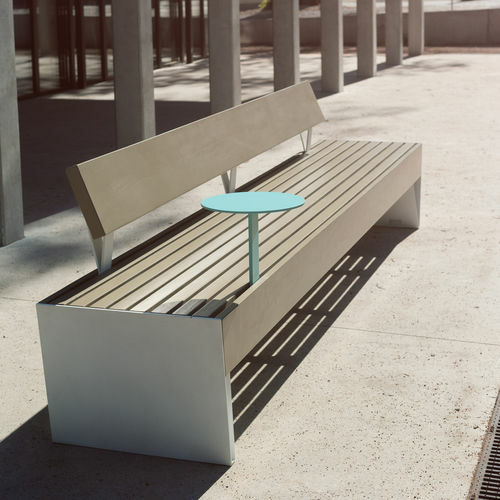 There is a monumentally simple backless variant as well as a practical and comfortable version with backrest with conically shaped single seats. Another special feature is a two color steel base offered in 6 color combinations. 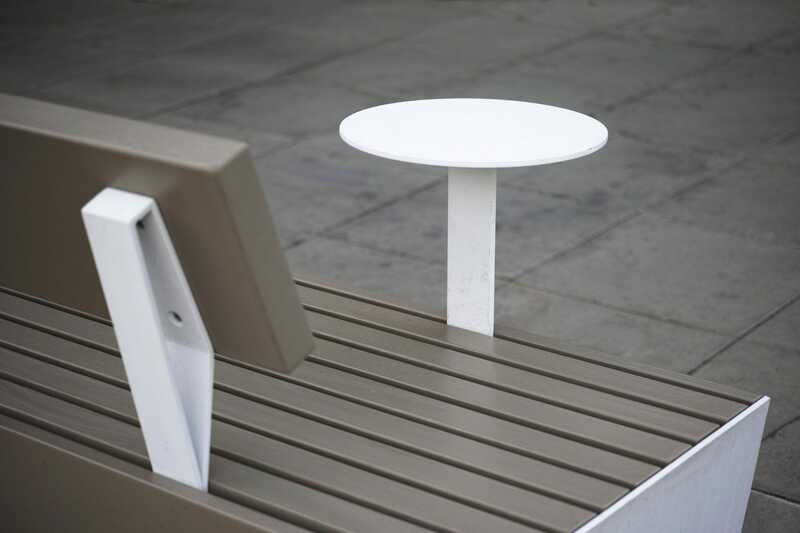 Both practical and attractive accessory for the benches with backrest is a durable steel table intended to place a drink, laptop or book. 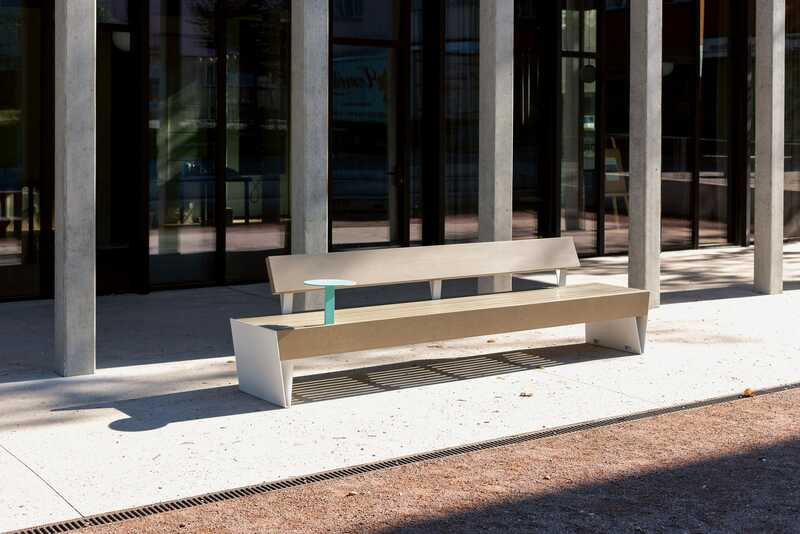 The contrast color of the table also brings a playful element into this bench. The built-in USB charger might be handy for those who like to stay outside a little longer. The LED backlight available for whole Blocq product range comes to the fore in the evening. Massive steel frame treated with zinc coating and powder coating. Wooden lamellas and boards form the seating and the backrest. They are connected to the steel structure in an invisible way.